Studies of pension reform in developing and transition economies tend to take for granted the capacity of states to implement ambitious and complicated new schemes for the provision of old-age income to pensioners. This article explains the fragmented, decentralized pattern of pension administration in China as an unintended consequence of pension reform. Policy legacies from the command-economy period, principal-agent problems in the reform period, and the threat of pension protests left urban governments largely in control of pension administration. The central government thus succeeded in its policy goals of pension reform but failed to gain administrative control over pension funds. Mark W. Frazier is assistant professor of political science and the Luce Assistant Professor of East Asian Political Economy at Lawrence University. He is the author ofThe Making of the Chinese Industrial Workplace: State, Revolution, and Labor Management (Cambridge University Press, 2002). His current research focuses on how central and local governments in China compete over pension reform. 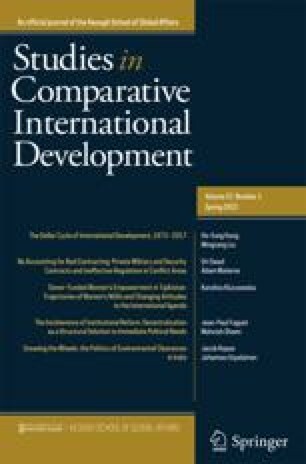 The author gratefully acknowledges helpful comments from Mary E. Gallagher, William Hurst, Dorothy Solinger, Jaeyoun Won, and two anonymous reviewers fromStudies in Comparative International Development. Funds for this research were provided by the Luce Foundation, the University of Louisville, and Lawrence University.